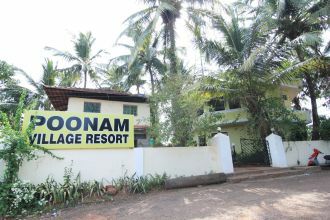 This budget resort with traditional Goan architecture is located just few steps away from the Anjuna Beach. Each room with colorful interiors and sea facing with a private balcony sets the perfect ambience for a perfect holiday retreat. One can relish some sea food specialties, authentic Goan feast, Indian, Continental and Chinese cuisines at the open-air restaurant. Relax in style and enjoy cocktails and mocktails in the in-house pub.